Use the core-package fuzzy-finder instead. Collect the (default:) first(1) sub-directorys in modal Panel. 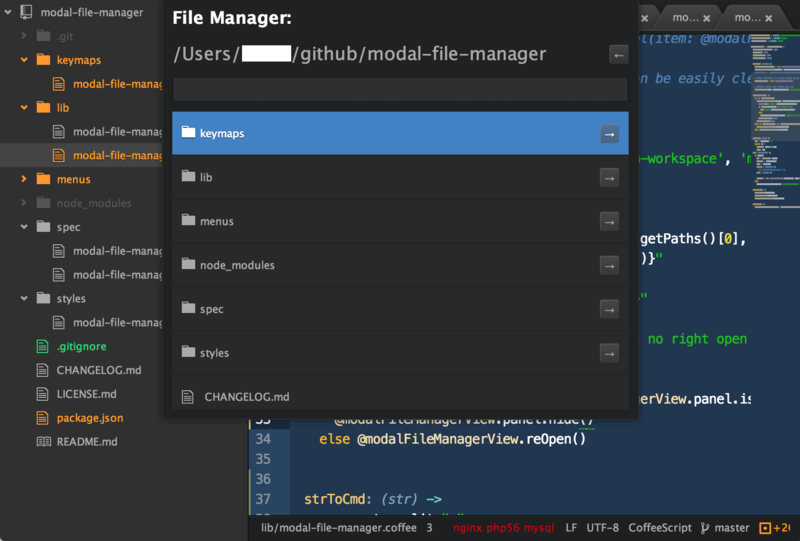 add following to your package.json in dependencies: coffeescript "modal-file-manager": "git+https://github.com/mulian/modal-file-manager.git"
Please let me know, if you use this Project as lib.